“We said we are going to launch the Zimbabwe National Geo Spatial and Space Agency. It will be launched by his Excellency very soon, but it has already been approved. It will be focusing on the use of air space. We want to use satellites to solve a number of problems including mineral discovery and agriculture monitoring,” said Prof Murwira, who is a specialist in the field of space. He said it will also be a hi-tech specialized agency looking at satellite navigation, communication and earth observation. The agency is being pioneered by the Ministry of Higher and Tertiary Education, Science and Technology Development as part of its 100-day plan. In an interview yesterday on his ministry’s 100-day goal achievements, Higher and Tertiary Education, Science and Technology Development Minister Professor Amon Murwira said President Mnangagwa is expected to officiate at the historic launch of the space agency. Prof Murwira said his ministry had in past few months worked tirelessly to transform the higher and tertiary education sector and had achieved most of its set targets. “When we got into this ministry, we said we want to turn knowledge into goods and services, making sure that our knowledge has to make a difference on the people of Zimbabwe, so we wanted to set a direction for that kind of thing to happen,” he said. Prof Murwira said the national skills audit and the national qualifications framework were awaiting Cabinet approval before they are made public. He said one of the biggest projects the ministry was working on was the coal to liquid fuels project that has so far received an injection of $5,2 billion. “We are going to start the coal to fuel project, producing 8 million litres of fuel per day and we already got investment of $5,2 billion and it was announced on the 17th of May,” said Prof Murwria. Prof Murwira said one of the plans of the ministry was to increase the number of science teachers. 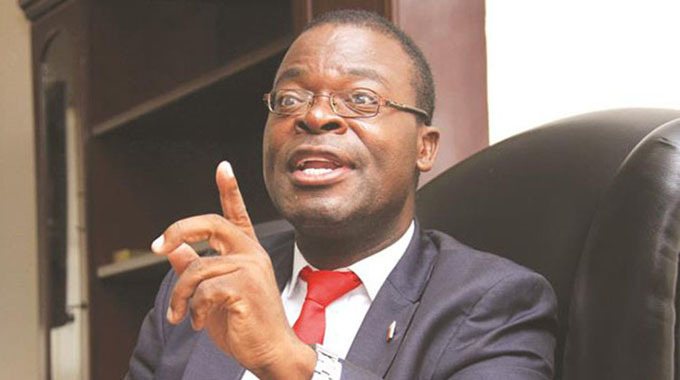 His ministry had removed mathematics as a requirement for some programmes that do not need calculations at polytechnics countrywide, leading to an enrolment increase of 11 percent. “And we said we are going to increase the number of science teachers and we have already started recruiting. At Mkoba, Mqabuko and Masvingo teachers’ colleges they are already there, 300 student teachers,” he said. Turning to the issue of student accommodation in universities and colleges, Prof Murwira said they were processing joint venture agreements with investors and fund-raising for university towns. He said the expansion of the High Computing Centre was at an advanced stage as it was already at roof level. “I know there are a lot of things to be done for Zimbabwe,” said Prof Murwira.